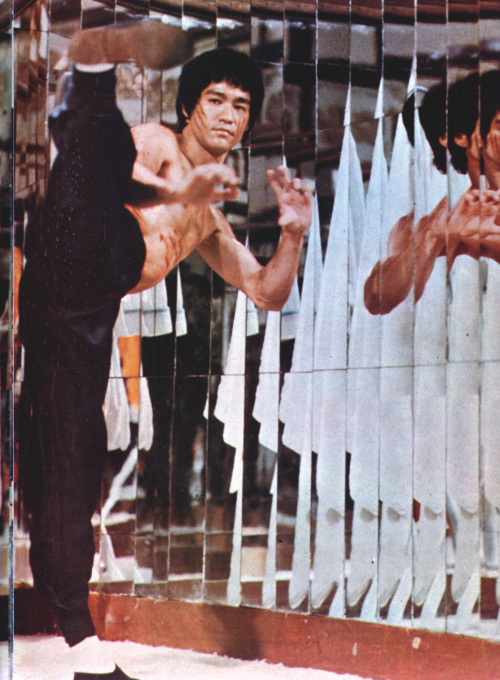 "The martial arts is more than fighting," said Bruce Lee. "It's a way of thinking, of feeling - it's a whole new life-style. That's what makes it work so well on the screen. And that's why I'm so excited about this film - definitely the biggest I ever made." Tragically it also proved his last. Rarely, though, has any film star gone out in such rip-roaring style: the most ferocious action and global queues smashing every cinema box-office record in sight. 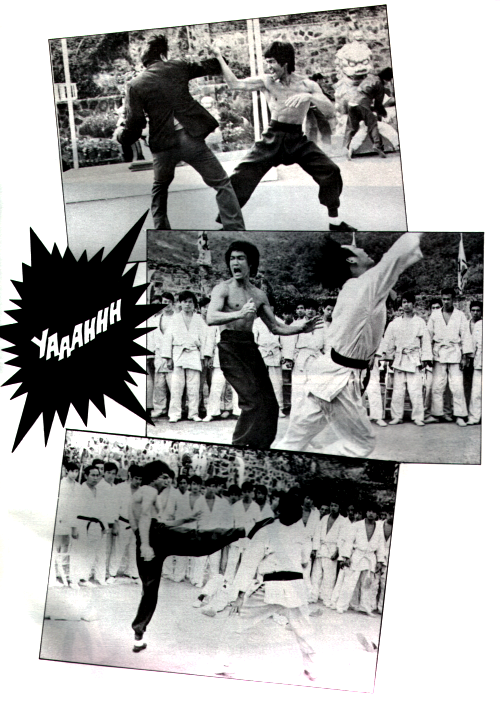 IN THE MAKING OF A MOVIE, BRUCE FOUGHT AS IF HE WAS REALLY IN A FIGHT. 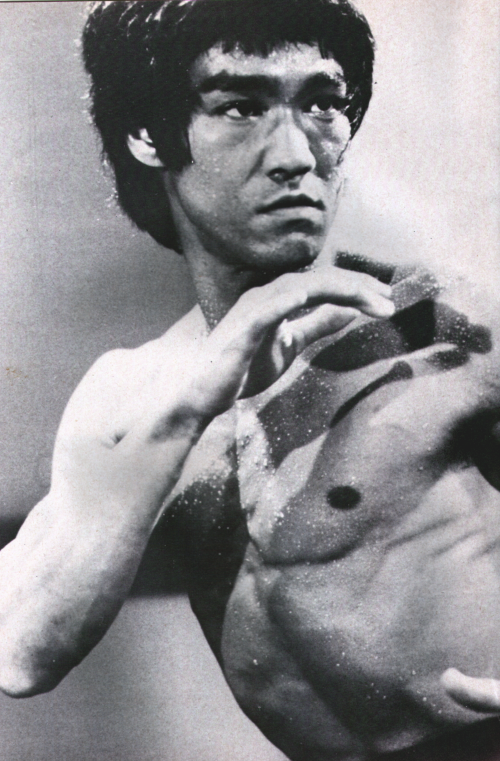 Since childhood, Bruce loved fighting very much. He treated it as his second life, and found contentment in it. 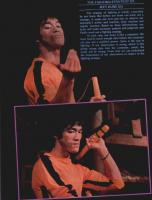 Warm-up exercises are an integral part of Kung Fu training. The muscles of the body are susceptible to injuries when they are not thoroughly warmed up and limber. 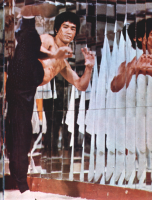 The phenomenal rise of 'the little dragon' a well-heeled superstar who taught Hollywood a new trick or two. The last interview. 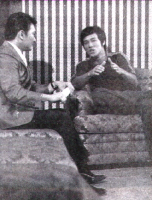 Bruce's death is a loss to the film world, and even a loss to the Chinese people. 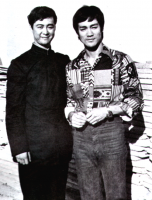 But if you understand that he had accomplished his goal which was to win glory for Chinese through films and martial arts, you will say that his death is not in vain. 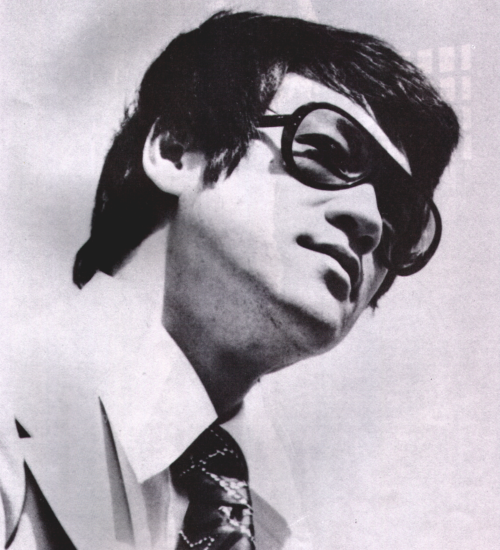 Bruce had stayed in United States for a long period of time, and learnt to live an American lifestyle. But one thing we should be proud of him. It is that he has never forgotten that he is a Chinese. He always remembered this: Chinese is in no way inferior to other people. This kind of thinking is evident in his works.